NVIDIA's flagship GeForce GTX 1070 is powered by NVIDIA Pascal architecture. It comes with ultra-fast FinFET and high bandwidth GDDR5 technologies, plus support for DirectX 12 features to deliver, fast, smooth and power-efficient gaming experiences. Get the power to drive VR, ultra-high resolution and multiple monitors. 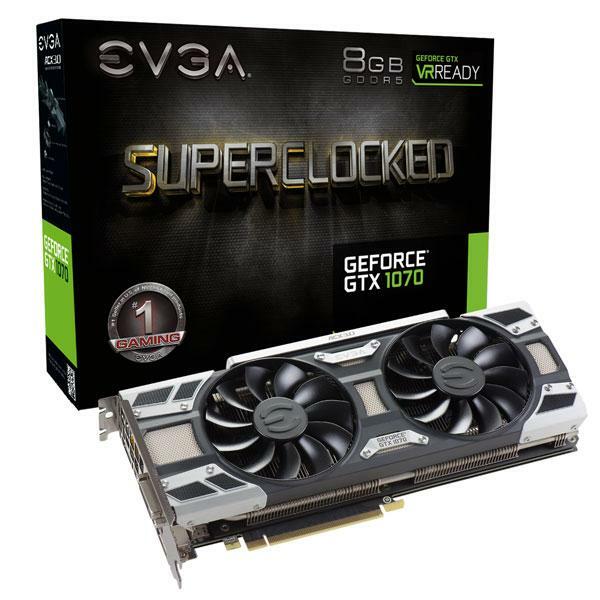 EVGA GeForce GTX 1070 features NVIDIA GameWorks technologies for smooth gameplay and cinematic experiences, as well as revolutionary 360-degree image capture-even in VR. 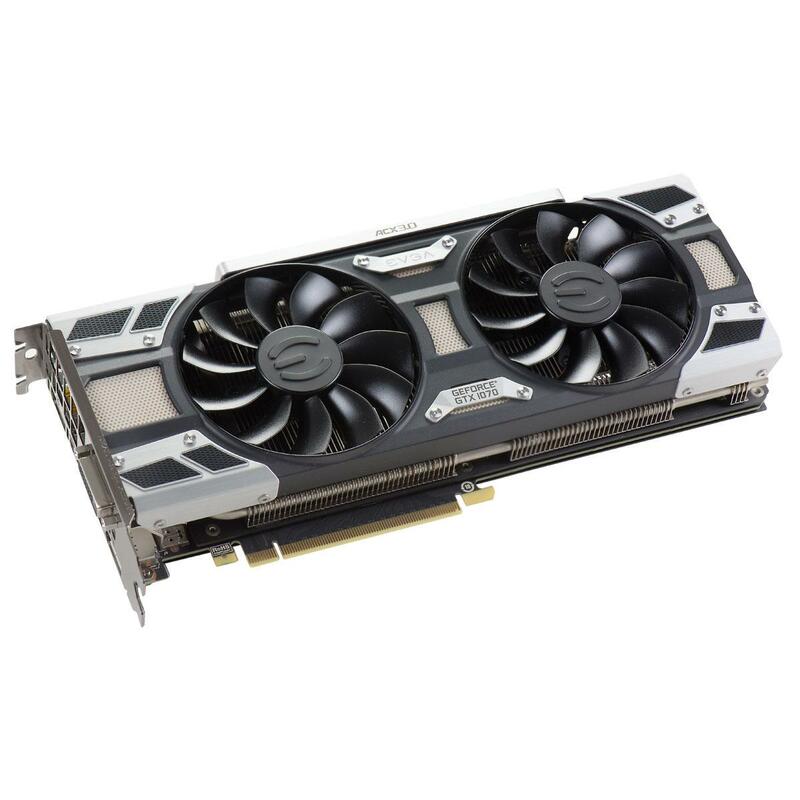 This new version of Precision is built for the NVIDIA Pascal architecture and combines the best of EVGA Precision EVGA OC Scanner to give you never before seen overlocking features and built-in automatic overlock tuning.